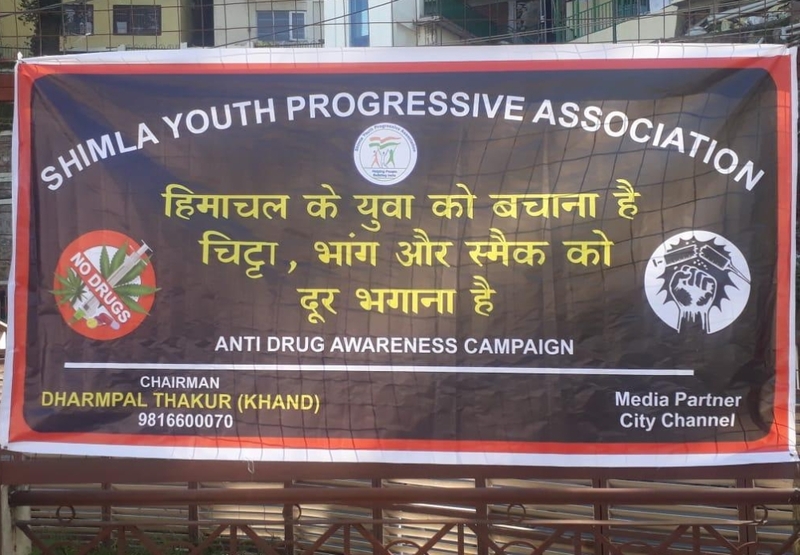 The menace created by drugs, especially the synthetic ones, in Himachal Pradesh has become a major challenge for the State government as well as the Police Department. Drugs have penetrated the circle of school students, a large number of whom become peddlers by the time they reach college. Reports of youth dying of overdoses in the State are confirming the catastrophic future the youth is heading towards. 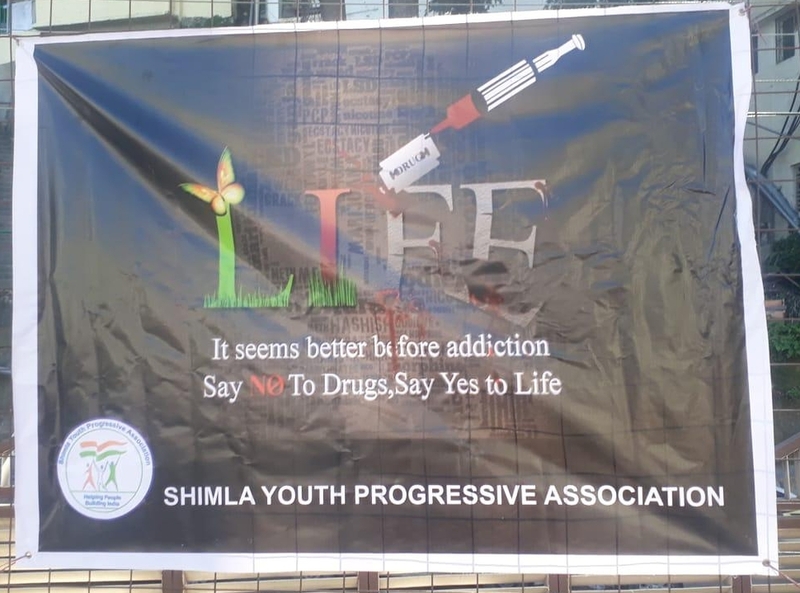 A Shimla-based Non-Profit Organization (NGO) ‘Shimla Youth Progressive Association’ has made it its mission to reach out the youth and help them stay away from drugs. 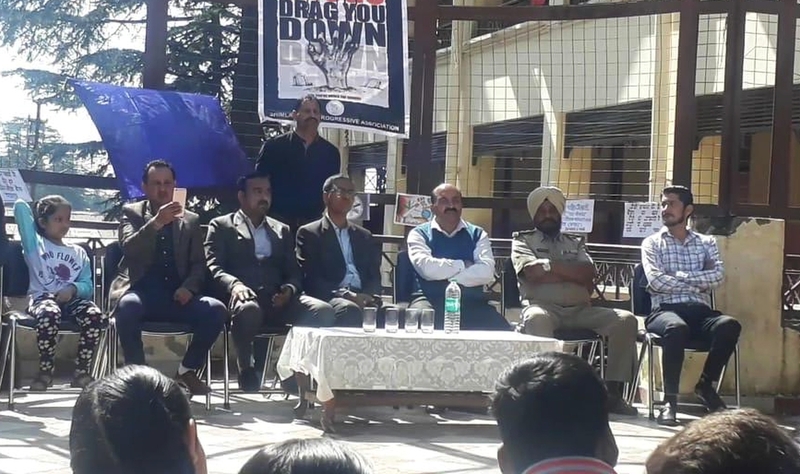 Today, the NGO organized an awareness event at the Government Senior Secondary School, Chotta Shimla, `in which the Deputy Inspector General of State Police, Asif Jalal, remained present as the Chief Guest. The Chairman of the NGO, Dharampal Thakur and members namely Rahul Negi, Vishal Negi, Prateek, Pawan, Hitesh, and Dheeraj were present. The event was part of their larger awareness campaign being run in schools of the district. 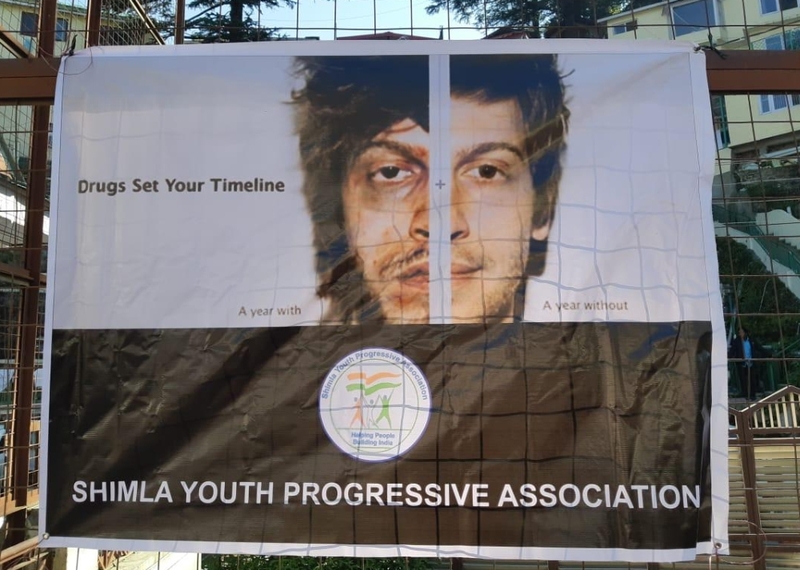 Theatre artist Munish Sharma presented a moving play based on a true story in which drug addiction was explored from beginning to its ugly ending. 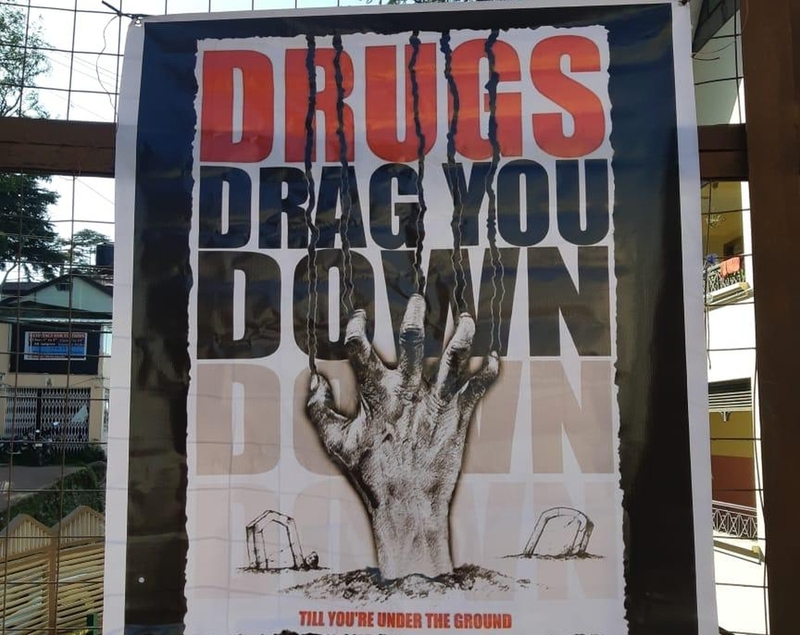 The play showed how peddlers or already addicted youth lure school students to experiment with psychoactive substance like Heroin and ends up destroying not only their lives but that of their parents as well. The DIG also addressed the children and recalled some of the cases in which youths were arrested and questioned regarding their addiction and procurement of substances they consume. DIG said while addressing the students. As Heroin is an expensive addiction, youth soon fall into the trap of debt and get involved in petty thefts and peddling to serious crimes to manage need of money. 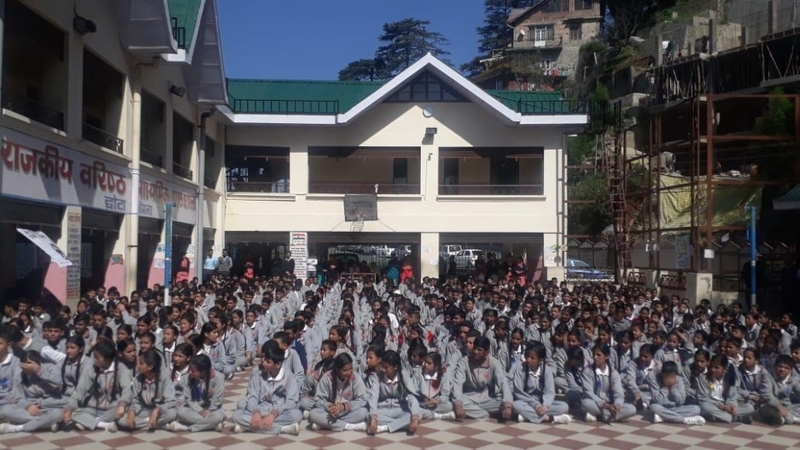 He told students that they should also be parts of the drug eradication drive by being vigilant and bringing cases of youth around them into the attention of the school staff, parents, or police. 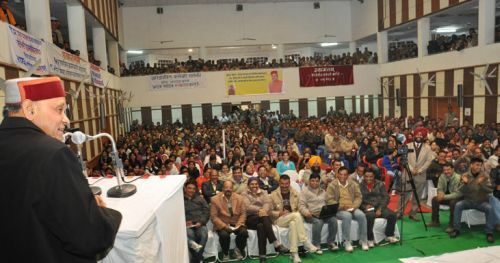 Dharampal Thakur also addressed the students and made them aware of some symptoms of drug addiction. 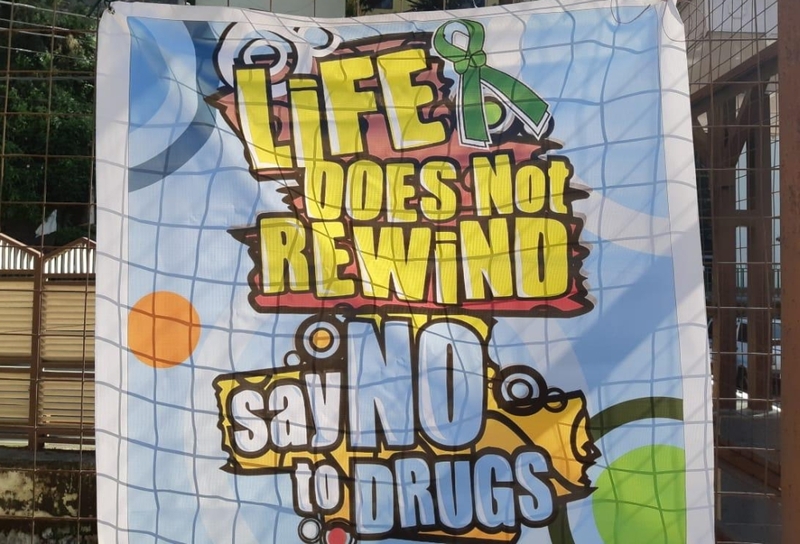 While he urged the students to refrain from falling to their curiosity to experiment with drugs/substances like Heroin, smack, charas etc., the peddlers were warned of dire consequences on being caught. 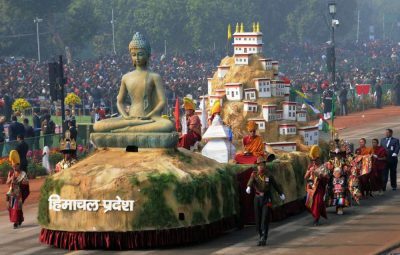 He urged everyone, especially the parents to unite against drug menace. It’s pertinent to mention that the State Police has reported a rise in the amount of various drugs/substances seized in 2018. In 2017, the total number of cases registered under the Narcotics, Drugs & Psychoactive Substance (ND&PS) Act was about 670 by August. 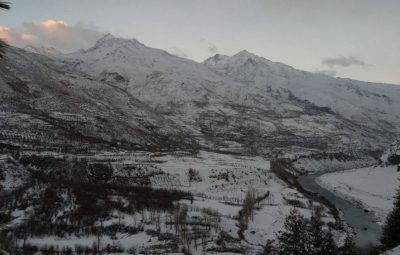 During the same period in 2018, the number was reported to be over 900. 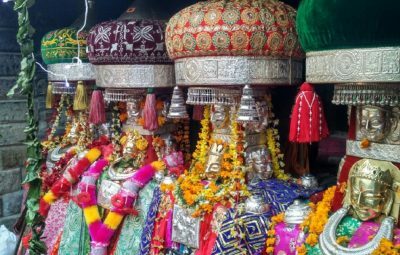 By July 31, 2018, the state police had seized about three kilograms of Charas, 5 kgs of Heroin, 5 kgs of opium, over 36,000 tables, over 53,000 capsules in addition to poppy husk, smack, and other substances. 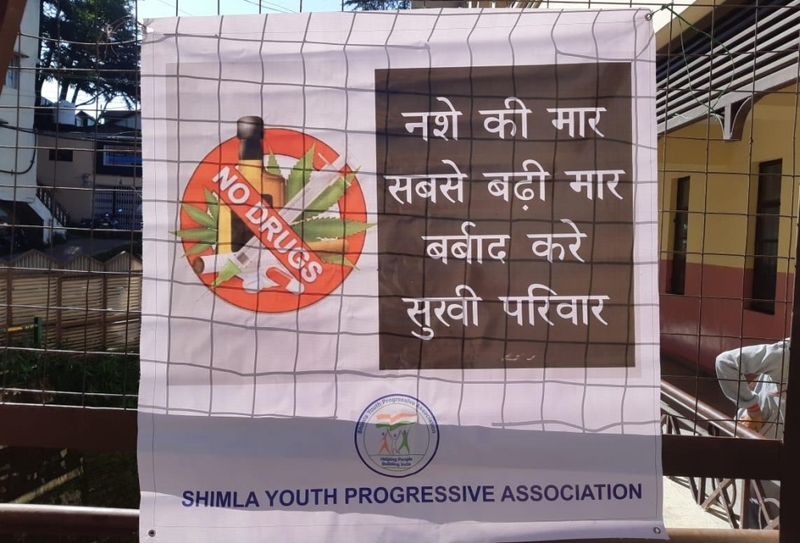 After the neighbouring state Punjab begun crackdown on Heroin (Chitta) peddlers, Himachal has witnessed a rise in the consumption of this substance. 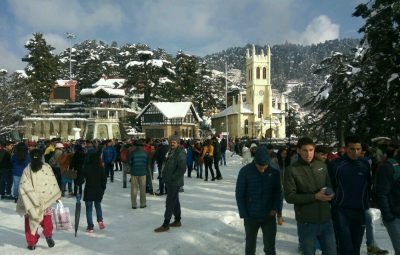 The Himachal Pradesh High Court had recently expressed a concern over the lack of a strong policy to eradicate drug menace. 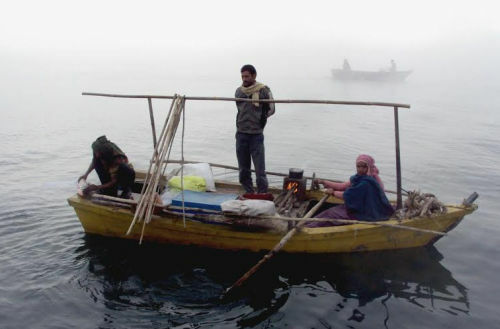 The court had told the government that mere seizure and arrests would not help in complete eradication. 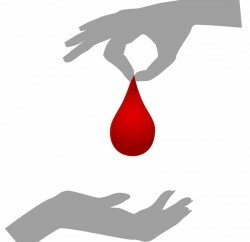 It would require the assistance of policymakers as well as researchers. 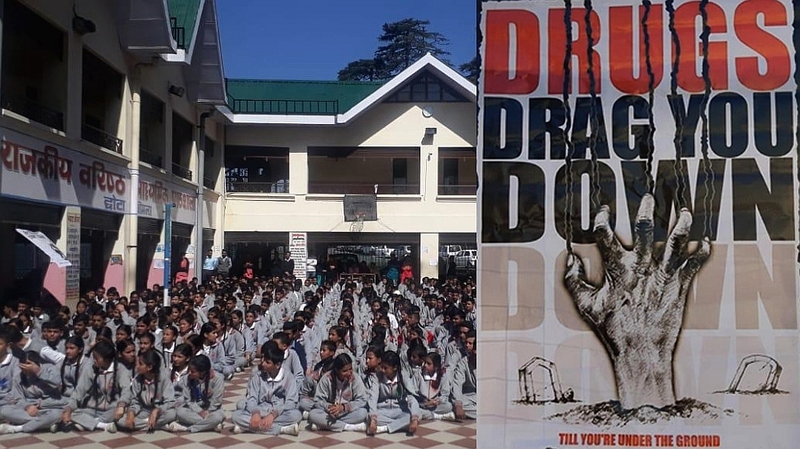 The NGO said it was the third part of their drug awareness campaign in the schools of Shimla. 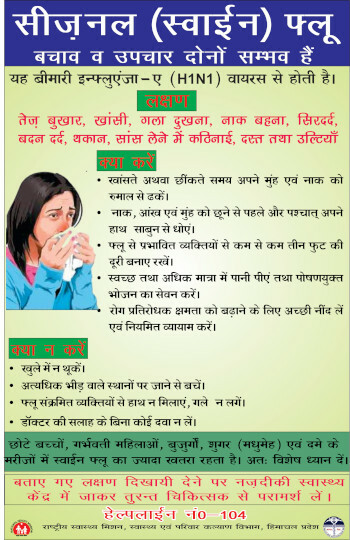 Four more such awareness events would be organized in the city, the NGO said. 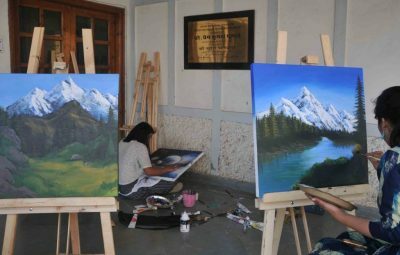 Later, such events would be organized in Chopal, Rohru, Rampur, and Kotkhai, and then all over the state, the organization said.